New Delhi, Oct 13 (IANS) Bypoll for the Chitrakoot assembly constituency of Madhya Pradesh will be held on November 9, the Election Commission announced on Friday. According to the election body, the last date of filing of nominations will be October 23, last date for withdrawal of nomination October 26 and the votes will be counted on November 12, said a statement. 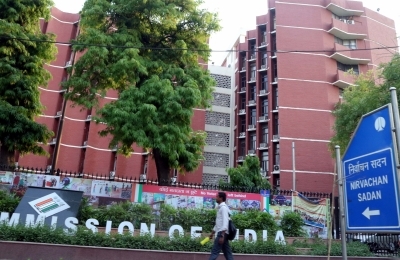 The commission has decided to use Electronic Voting Machines and voter verified paper audit trail (VVPATs) in the bypolls in all the polling stations. “Adequate numbers of EVMs and VVPATs have been made available and all steps have been taken to ensure that the polls are conducted smoothly with the help of these machines,” said the election body.